The Kia Picanto has a new flagship trim in its order books now with the official launch of the Picanto GT-Line that comes with a host of new kit and tech; including autonomous braking. 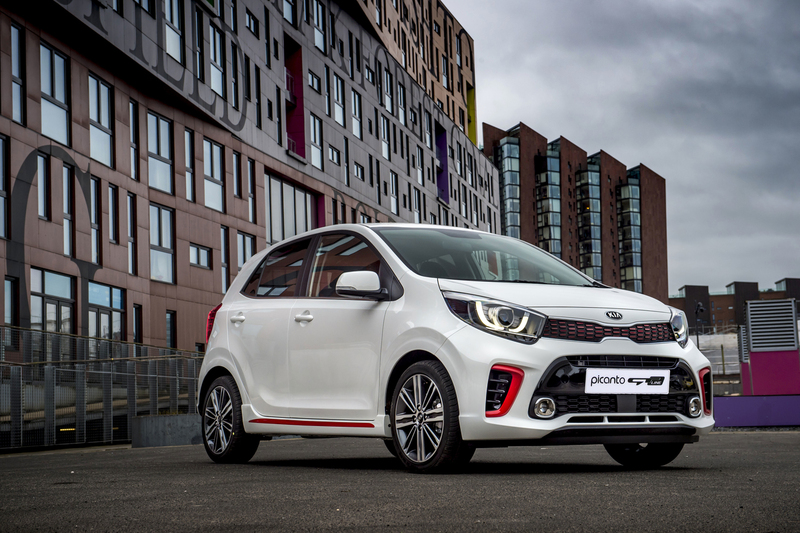 Setting it apart from the other Picanto trims are the new colour accents on the full body kit and Kia’s signature “tiger nose” grille at the front. Sporty-looking dual exhaust pipes at the rear end do their best to increase the performance façade. Additional kit includes larger 16-inch alloy wheels and pedals, LED DRLs and fog lamps, shark-fin antenna as well as keyless entry. The 7.0-inch infotainment touchscreen retains Apple CarPlay and Android Auto functionality for full smartphone integration. A sporty D-cut steering wheel replaces the round one in the EX trim, a rear-view parking camera, wireless smartphone charger and USB port complete the interior kit. A Full Auto Temperature Control (FATC) that automatically maintains the set cabin temperature is standard. Safety has always been one of the Picanto’s unique selling points and here, the standard tech is further enhanced with autonomous emergency braking. The rest comprises six airbags, stability control, vehicle stability management and hill-start assist in an Advanced High Strength Steel (AHSS) shell. Performance is not of the GT variety however. The 1.2-litre Kappa II four-cylinder mill chugs along at 83hp with 122Nm of torque for company. A four-speed automatic is the only transmission available. Interior dimensions remain unchanged with 255-litres of boot space and 60:40 split folding rear seats that fold to increase boot space to 1,010-litres. You can have the Picanto GT-Line in Titanium Silver, Clear White and an exclusive Aurora Black Pearl colour; none of the bright and exciting options the regular Picanto EX comes covered in though. Pricing has been set at RM57,888 (on-the-road without insurance), and is tagged with a five-year warranty with unlimited mileage. Hi Proton… can the X70 change people’s perception of the brand?